These games are beautifully done. The relaxing sounds, music, colorful graphics, and fun puzzles really create a fantastic gameplay experience. I highly encourage you to buy both games, and even buy the add on Forgotten Shores from the first game. Well done! I hope to see more! Was my first purchase ever from the App Store, I had play this game briefly in 2016 at the Art Gallery in California and fell in love with the graphics and brilliant puzzles however I didn’t know the name of the game so 2 years later while scrolling through the game tab I found this and immediately purchase! WAS NOT AT ALL DISAPPOINTED the story seemed quite confusing although I’m more of an art person so graphics really appeals to me, while playing it I sometimes often ask myself who has the ability to thought of such brilliant puzzles, what team had this visual and in mind and absolutely killed it! WOULD RECOMMEND 100%! This game is just ok for the price. If it was $1 Maybe i would have given it 4 stars for value. puzzles were clever but not difficult at all. The “story” is not really a thing in this game. It will also be completed in about 45 minutes with no replay value. T̤̈ḧ̤ï̤s̤̈ g̤̈ä̤m̤̈ë̤ ï̤s̤̈ b̤̈ë̤ä̤ṳ̈ẗ̤ï̤f̤̈ṳ̈l̤̈, ẗ̤ḧ̤ë̤ g̤̈r̤̈ä̤p̤̈ḧ̤ï̤c̤̈s̤̈ ä̤r̤̈ë̤ ä̤m̤̈ä̤z̤̈ï̤n̤̈g̤̈, ä̤n̤̈d̤̈ i͛s͛ s͛o͛ i͛n͛t͛e͛r͛e͛s͛t͛i͛n͛g͛. The mobile game market is cluttered. But every once in a while, you get a gem like this. I downloaded this a long time ago, and finished it quickly. While I know many people hate that it’s too short, I don’t care at all. The developers put so much time into this, they deserve your contribution. It runs smoothly, is gorgeous, and perplexes my thoughts. The soundtrack is spot on, and you can feel the love put into this. Highly recommend, also recommend Forgotten Shores and MVll. This is such an amazing app! It is an unique concept that is used in a brilliant way. But... There are too little chapter. I thought there would be at the minimum 20 chapters. But instead there are only 10! This was really disappointing because it cost $3.99 and I only got 10 chapters. I finished all the chapters in one day! 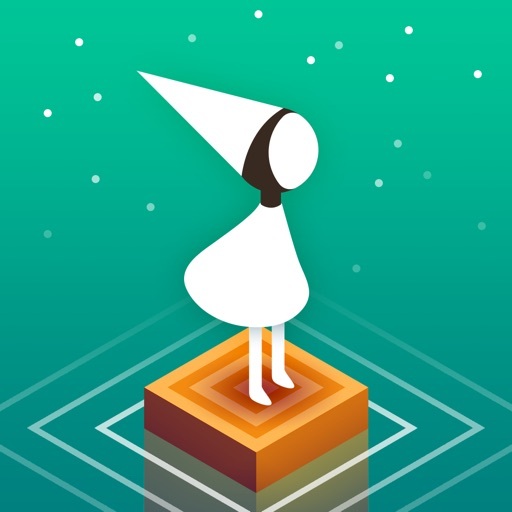 Then I look for Monument Valley 2 and it is $4.99 with really short chapters. Please try to fix this if possible because it is a great concept and idea. It should be used in more lengthy and creative chapters that blow our minds. Best time ever spent on a game. I had a little trouble with the puzzles but it was still fun. It made me think. Best game ever!